"At the grand art project, ART EN CAPITAL 2015, which is traditionally held in the main exhibition hall of Paris- Grand Palais, my painting "the Adagio" has received the main prize and a world-class degree " Golden Canvas". I’m glad to receive the title ‘The best artist of the year 2015’ because I represent my native land-Azerbaijan", said Narimanbayova. 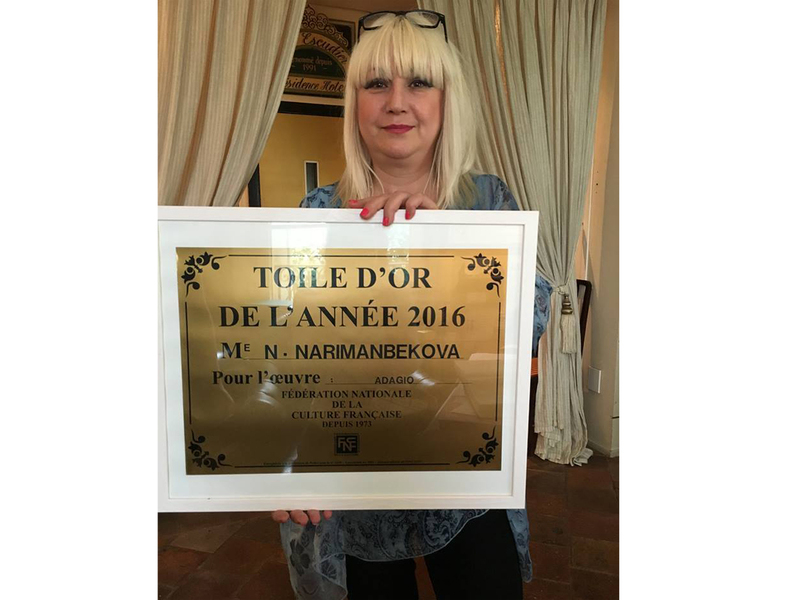 The prize "Golden canvas " was established in 1973 by The National Federation Of French Culture and is awarded to only one artist. Every year the salon of independent artists, Grand Palais presents more than 4,000 paintings from two thousand artists. Noteworthy, Nigar Narimanbayov has again been invited to take part in the exhibition ART EN CAPITAL 2016, where she will present her new series of paintings "Love Toys".